This week we witnessed a truly absurd turn of events in Parliament. A motion was passed in New Zealand parliament last Wednesday, expressing “support for the Women’s Peace Boat to Gaza”. In other words, New Zealand’s Parliament has just given its support to the attempted breach of a blockade that, as Shalom.Kiwi has explained, has been upheld as legal by the UN, in a report authored by Sir Geoffrey Palmer. Green MP Catherine Delahunty sought leave to move a motion “without notice and without debate” in support of the “Women’s Peace Boat” to Gaza. The Hon. 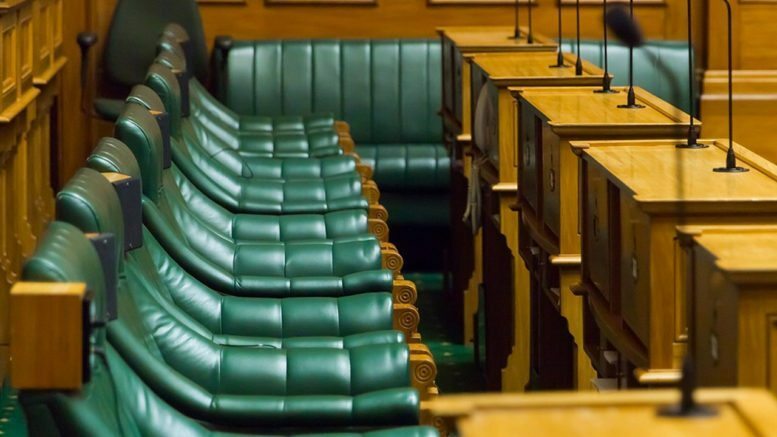 Gerry Brownlee raised a point of order, objecting to the tabling of the motion and seemingly offering a way for the Green MP to save face as he had already expressed to Ms Delahunty, that morning, that National would not support the motion. However, there were no objections when Ms Delahunty exercised her parliamentary rights against commonly practised arrangements, even though a single member’s objection would have disallowed the motion being tabled. Further, when it came time to vote, Mr Brownlee and many of his colleagues were either silent or in support of the motion – only a single “no” could be heard on the recording. Was the Government aware of what it was doing when it allowed the extremist Left to slip such a contentious motion through Parliament? Instead of objecting to the tabling of a motion already deemed unsupportable or even voting against its passing, let alone actively dissuading an MP from embarking on this reckless endeavour, the New Zealand Government has expressed support for an MP to join a vessel that intends to breach a legal naval blockade. This is a stunt one might expect from the lunatic fringe like the Green Party but is not something that respectable parties should be endorsing. Also of concern is the Government’s implicit endorsement of hate group, Kia Ora Gaza, who facilitated this trip. Kia Ora Gaza leader, Roger Fowler, has expressed support for a one-state solution (which entails the destruction of the Jewish State), compared Israel to Islamic State, publicly supported a “third intifada”, and justified violence against Israeli civilians. This is not the language or behaviour of an organisation committed to peace and human rights, nor is it consistent with the New Zealand Government’s official support of a two-state solution. Kia Ora Gaza crowed about the underhand tactics that saw this motion get passed on its website as follows: “As Green Party MP Marama Davidson was about to depart New Zealand to join the international Women’s Boat to Gaza on Wednesday, her Green Party colleague, Catherine Delahunty MP, put the following motion to Parliament without notice. In a surprise move, the motion was passed in a period of confusion amid bluster from Defence Minister and Leader of the House, Gerry Brownlee”. This Kia Ora Gaza funded “Peace Boat” mission, purportedly to stand in solidarity with “the Palestinian struggle” is not about helping the Palestinian people. Green Party MP Marama Davidson has been unwilling to engage with the real human rights issues for Palestinian women, and refuses to acknowledge the true source of their struggle, being the lack of democracy and civil rights under the ruling parties of Fatah and Hamas, as well as the power struggle between them. Her response to the questions raised by concerned citizens on her Facebook page was to label them distractions and threaten to remove the questioners from her page. She was unwilling to engage in informed debate. It seems that it is not human rights on her agenda, but rather grandstanding and making a name for herself through international photo opportunities. While Ms Davidson made the delusionally self-important statement to Maori TV that her calling is to empower the women of Palestine, she has yet to explain how sailing on this ship of fools will achieve that. While the New Zealand government’s official policy toward the Palestinian/Israel conflict has been one of relative ‘even handedness’, this parliamentary endorsement of the Green Party/Kia Ora Gaza mission is a gigantic lapse of judgement. Not a good moment to be sleeping on the job. Concerned citizens ought to consider emailing their M.P.s to ask why they have supported such a dangerous and deluded mission.